Aidan Grimes is an accomplished coach and, through his unique understanding of history, has helped many change their perception of the past, equip them to live in the present, empowering them to design the future they wish to have. He has a keen interest in what makes the best get better. Clients who work with Aidan are those that want to constantly improve, get the best from their people and expand the range of possibilities. His passionate, engaging and energetic focus empowers the people he works with to become the type of leaders they want to be, creating sustainable leadership for teams and organisations. Aidan completed his 106th Kokoda Trek (TEAMS) in Aug 2016 and remains the only Kokoda operator to have a 100% success rate. Aidan inspires participants as they encounter the mental and physical challenges on the treks. Through historical benchmarks, extreme corporate events and personal development initiatives, he promotes a way of thinking that removes limitations and unearths a basic instinct inspired by the passion and spirit he believes is inherent in all Australians. He has a life long passion for developing success factors with particular interest in team culture, sports psychology, wellbeing and extreme events. Aidan is a tertiary qualified sports scientist majoring in coaching psychology, with postgraduate studies in nutrition and is currently completing further studies. Aidan has over 30 years of corporate wellbeing and team building experience as well as successfully coaching sports at various international and state levels. He has developed many Leadership initiatives and his “rite of passage experience” (ROPE) course has now been implemented into many organisations. He has worked with many large corporations including Microsoft, Computer Associates, Ericsson, Intel, Apple, Nine MSN and Vodafone and educational institutions including Federation and Ballarat Universities. He has also worked extensively with Youth at risk, both here in Australia and overseas, he has Presented Leadership to the NSW Police, NT Police, NSW, NT Police Legacy and the ADF, and overseas with various reputable agencies. He is, or has, worked with the following sports organisations - the Brisbane Broncos, AIS Olympic Kayak team, and various others. Aidan is also a man of integrity with a strong belief that his actions will always speak louder than words. Over the past 20 years, Aidan’s contribution to various charities exceeds $3.5 million dollars. Aidan has achieved and celebrated a range of personal accolades. 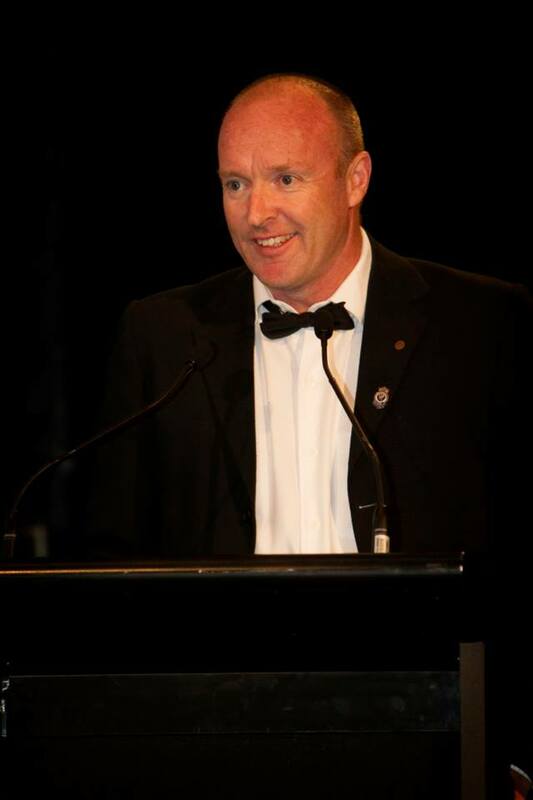 In 2000 Aidan was named ‘NSW Community Father of the Year’, while developing and managing the Vodafone Extreme Corporate Challenge, which raised over $1 million dollars for the “Life's a Ball” youth suicide prevention program. He has also been recognized with the RSL National Anzac Award 2012 with the following citation: “exceptional service to the Australian Community demonstrating compassion, endurance and dedication to the Kokoda campaign and other community services”. Aidan's organisation, Our Spirit Adventures, continues to develop, introduce and support medical, educational and sporting initiatives that continue to foster relationships with many remote communities around the world. He continues to utilise his “spare” time to further the cause of youth development offering his services as a highly sought after public speaker to schools in Queensland and interstate continually delivering messages of wisdom to support individuals reach their true potential. A passionate philanthropist and war historian with an unsurpassed reputation for his encyclopaedic knowledge of Kokoda and other battlesites, Aidan has been recognised publicly by Stan Bisset 2/14th Battalion, Keith Norrish 2/16th Battalion, Greg Ivey, PIB Battalion in support of this. The local Papuan’s have honoured Aidan with the nickname “Uda Baroma” - meaning wild boar as a sign of respect for the incredible strength and leadership he has demonstrated over the past 22 years crossing the Kokoda Track and other military significant tracks. Aidan has spent 24 years studying primitive tribal culture in PNG and has unearthed the secrets to these tribes survival through the development of their culture. It is this culture that determines the successful lifespan of the tribe. Aidan, uses this vast understanding, along with sports science and military understanding to be able to offer high performance initiatives. Most recently, Aidan was voted in (by the majority of Kokoda trek operators) as the Chairman of the Kokoda Ethics Committee with the purpose of setting transparent and accountable standards and practices so that the “sacred” Legacy of Kokoda can be protected for all generations, with a direct report to the Federal Government. In 2015 Aidan was also a key founder of the Kokoda Operators Association. Mateship (motivational keynote): An exploration of Aussies at war; how we overcame adversity and how it translates to overcoming adversity in life. The ‘Spirit of Australia’: How we can achieve as a result of integrity, preparation, respect, courage and sacrifice. What makes the Australian Spirit unique. Endurance to go the distance (motivational keynote): Understand the vision, and then construct the road to get there, despite the obstacles. Investing belief in yourself and others: Team cohesion and effective leadership. Communication: How does an Irishman guide thousands of Aussies through one of the toughest tracks on Earth with the success he has? Personality awareness – how to find the true person: In extreme situations you must be able to discover, then motivate individuals, to their real potential. Leadership styles: It wasn’t until the Aussie diggers were invested in and their commanders led by example that they showed their true potential. The critical factors in every successful team. What are the factors that need to be addressed when implementing change. How important culture is in the development of teams and how it is developed and maintained.